RENTON, WA – Parallels commercial containers solution, Parallels Cloud Server, is now officially accepted into OpenStack, Kilo release, as a server virtualization infrastructure product. The recognition ensures that service providers who use OpenStack as an infrastructure solution will be able to deploy Parallels Cloud Server. Also, more than 150 companies that support the global open source initiative can confidently integrate the technology into their own offerings. Parallels Cloud Server (PCS) is the most widely-used commercial containers technology on the market and the company’s containers solutions recently surpassed one million virtualization instances. The acceptance of PCS for OpenStack provides the community’s users with a unique option among supported server virtualization products and helps support adoption of the OpenStack platform by service providers. Parallels first joined the OpenStack community in 2013 and remains committed to open source software development. To date, the company has also had Parallels Containers andParallels Hypervisor – both components of Parallels Cloud Server – accepted as official OpenStack-supported products. Also, its Parallels Automation platform can deploy and manage clouds running on Mirantis OpenStack. Parallels Cloud Server (PCS) is a high-security, high-performance virtualization solution that combines containers, virtual machines and storage to give service providers a cost-effective platform for delivering high-availability cloud services to their customers. PCS is a secure and scalable solution ideal for service providers that want to capitalize on emerging container-dependent technologies with a platform that will help providers build new offerings for businesses and cloud application developers who are building modern cloud applications. 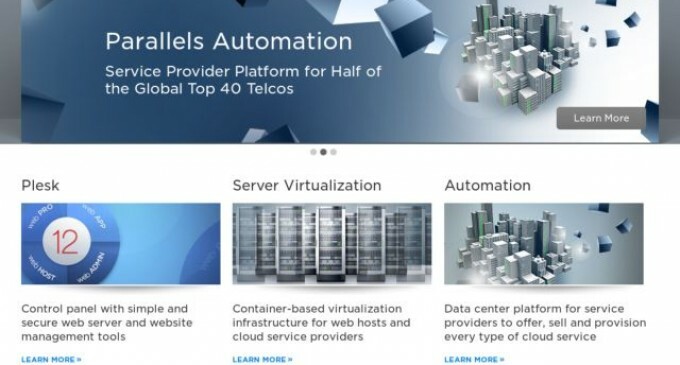 Parallels provides the software that powers the cloud ecosystem, from small and local hosters to some of the world’s largest telecommunication companies. By partnering with Parallels, service providers gain access to industry expertise, a catalog of the most in-demand cloud applications, and the most comprehensive selection of software including web server management, server virtualization, provisioning, and billing automation. With offices in 15 countries, Parallels supports more than 10,000 service providers in delivering applications and cloud services to more than 10 million SMBs. For more information, visit http://sp.parallels.com/, follow us on Twitter, or like us on Facebook.